A range of self-adhesive graphic floor markers, designed to get that important safety message across without going to the extreme of painting your warehouse floor. These highly visible markers although designed for the floor can also be used on walls or any clean, flat dry, sealed surface. There is a choice of 38 off the shelf designs but other designs made for your requirements can be produced. Each sign is 430mm in diameter. 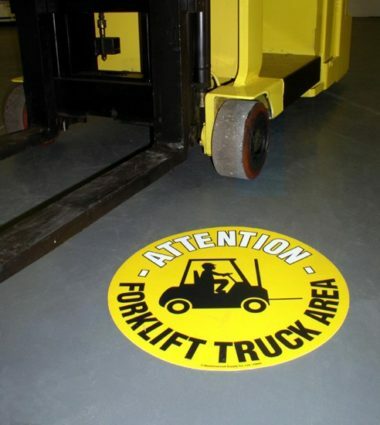 Need to get that important safety message across without going to the extreme of painting your warehouse floor? 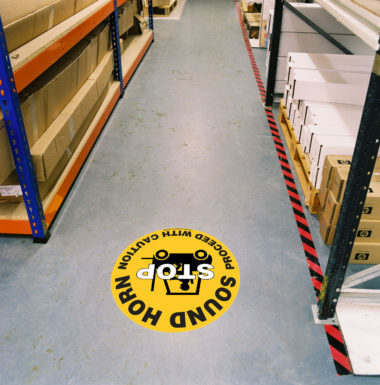 Well Beaverswood have the simple and cost effective answer, by using their Graphic floor markers –these highly visible markers are designed to highlight warnings or special requirements. They are suitable for use on dry, clean flat sealed surfaces and although designed for the floor, the markers can be used on walls or anywhere a tough permanent sign is required. The range has just recently been extended to include 8 new graphics, with many of these also available with French and German text. Special designs can also be printed to suit the customer’s specific needs. Each of the large (430mm diameter) signs are printed onto the underside of a clear PVC film and then laminated on the back surface with an aggressive permanent adhesive. 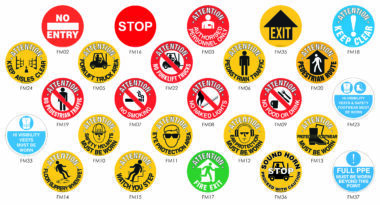 These tough signs have been designed to withstand the everyday traffic of a fully operational warehouse. 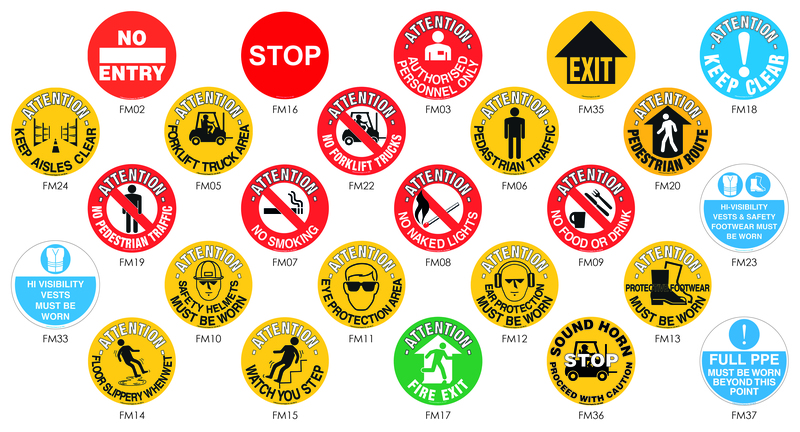 Beaverswood the complete identification solutions provider also provides other floor marking items to compliment this range other products such as floor signalling, floor Location Labels and Floor Identification Markers. These products allow the user to highlight walkways, traffic flow, pallet positions, alpha or numerical number positions. Coupled with the ability to produce bespoke floor labelling Beaverswood offer the complete one stop shop. 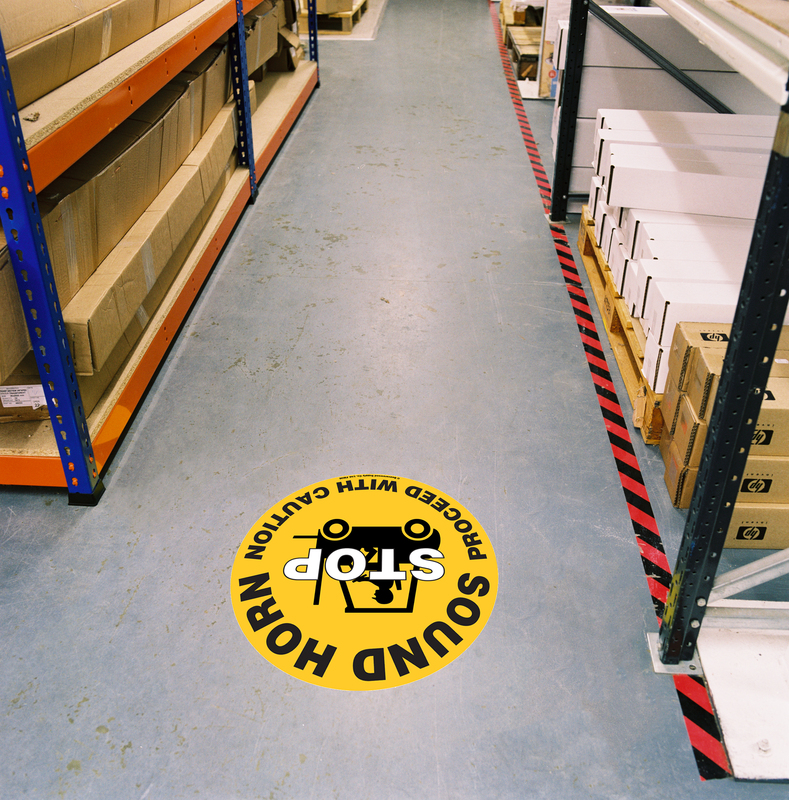 Don’t leave things to chance emphasise that important safety message and delineate areas of the warehouse floor for all to understand.